January | 2012 | Thy Glory O' Nigeria..! Goodluck Jonathan Disgraced at the African Union Meeting. Goodluck Jonathan Heading for the Grass? Mr. Jonathan was more or less disgraced at the African Union Meeting in Addis Ababa on 29th January 2012. Ghana led a group that voted against Goodluck Jonathan. President Thomas Yayi Boni of Benin was elected as Chairperson of the African Union (29-01-2012). If Goodluck Jonathan was unsure of his popularity in Africa he just got a straight forward answer. He is already rejected and hated in Nigeria. He is the worst president to ever walk Africa and he had the guts to want to try to lead Africa. Northern Nigeria is at war with him and Abuja the capital of global corruption, he should hurry home and defend the people he sworn to defend as written in the constitution. If not that Jonathan has no shame, how can a man who fails at home try to lead the entire continent. This is a man that single handedly plunge Nigeria into its Occupy Nigeria crises. African leaders should never again allow a failed leader to lead the African Union. Today, all Africans have to thank Ghana for leading the votes against Nigeria. I don’t think Jonathan knows what he is doing. He has not done anything to reverse the price of petrol and Nigerians are paying double or triple for everything compared to the prices they have before the Christmas of 2011. Also all the looting in the Jonathan government have not been reverted or cancelled. The man is still spending N3b of Nigeria’s money on food. His allowances for local and international travel exceed N5m daily. Is this president normal? Where is he going with N5 million daily? Nigerians must thank Ghana and the other countries who voted for the president of Benin. We could have been told that the rest of Africa agree with these lootings and stealing by Jonathan and other Nigerian politicians had Jonathan won. The message is clear and strong. Mr. Jonathan is heading for the grass and he will soon be there. 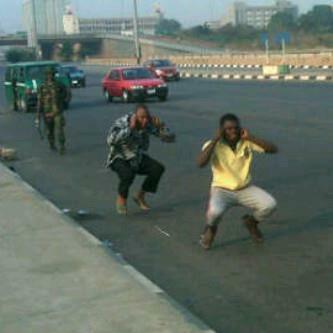 Nigerians are suffering and the Jonathans and co are enjoying. This season won’t last. The end of it must come, soon. No doubt, Boko Haram is at war with the Jonathan led corrupt government in Abuja. Bomb blasts rock Kano, Northern Nigeria and the situation is best expressed as war in Kano. Among the targets were military and paramilitary outfits. The SSS office was targeted as well as the offices of the Migration and Police Stations. Altogether about 20 bombs exploded at different locations. 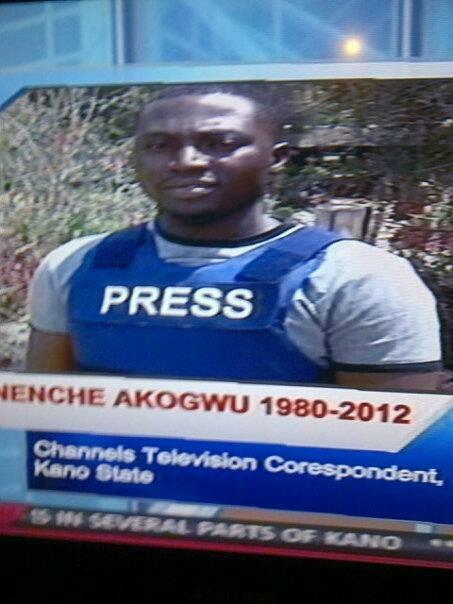 A reporter for the independent Channels Television was killed. 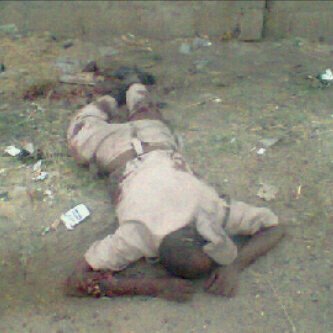 Eneche Akogwu was executed by the Boko Haram militants right in front of the state house in Kano. Several people have been wounded and obviously several people have been killed as well. There are no exact figures of the number of dead persons but corpses were removed from many of the sites of the bomb blasts and an immigration office lie lifeless in front of the immigration office in Kano. More than 220 people died. Many more Nigerians have called for the convocation of a national conference to chart the way forward for Nigeria but like in the past those who are in charge of Nigeria today are not interested. It is even worse with the foolish ruler that presides over Nigeria today. His name is Goodluck Jonathan. This man sent the Nigerian army into Lagos to kill and maim protesters who are against his style of governance and demanding changes. But in northern Nigeria Boko Haram continue to enjoy freedom of movement and license to kill. Mr. Jonathan declared states of emergency in some states in the North but with no blue prints or instructions on how to discharge the orders. Hence Boko Haram and their sponsors continue to remains steps ahead of the Nigerian security agencies. Boko Haram is so bold it dares to attack the police stations, immigration offices and the offices of the lame state security agancies. You can never ask for a greater insult on the security outfit of a country. Nigeria is weak and Jonathan is foolish. How can a ruler send battalions of armies to Lagos where harmless protesters are converging to express their minds and the same ruler cannot do anything tangible about the war in Northern Nigeria? Even if there are military presences in Northern Nigeria, it is almost useless or worthless because Boko Haram continues to keep the war running, unhindered. They blow up whatever they want and they almost can assassinate whoever they want. Where is the protection from the Jonathan government? What is going on in Northern Nigeria is not less than a war. 20 bombs at once is a mega-war situation. Boko Haram is at war with the government of Mr. Jonathan. It is unfortunate that the terrorist group cannot confront Jonathan and his stealing executives but instead have been killing innocent people. Even after every major attack, Boko Haram continues to carry out series of other attacks and arsons. 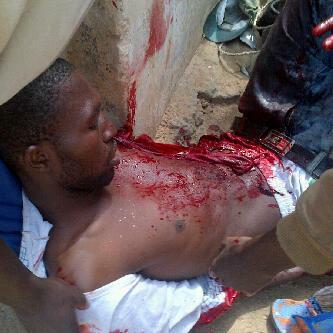 After the Kano bombs, churches and other places have been attacked in the North. So it is a continuous war. Nigeria is definitely on the brink and soon the bubble will burst! Then it might be too late to institute the changes we have called for many times. Let us sit down to discuss how to partition this country so that each region can have control over its resources and regional development. History will not forgive the present captors of Nigeria if they refuse to give way to constitutional changes that will stop the war in Northern Nigeria. The coming rage may be too fierce to stop by the zombies posted to Lagos. In 2012 several millions of Nigerians will live poorer and suffer more than they have ever done in recent history. The government of Goodluck Jonathan has ensured that more than ever before more Nigerians will sink further below the poverty line. In 2012 the prices of goods and services have doubled at the same time that wages remain stagnant and unemployment remains a nationwide scourge. The government of Nigeria under Goodluck Jonathan is probably the most irresponsible government on the planet. Mass poverty is the poverty that affects the majority of a population. More than 70% of Nigerians lack the usual or socially acceptable amount of money or material possessions needed to lead a happy life. This unfortunate category of Nigerians lack material comfort and in plain language they live from hand to mouth. Poverty in Nigeria is extreme. It covers a wide range: from absence of basic amenities like water, hospitals and electricity, good roads and good schools to absence of security and general hopelessness. The broad implications of mass poverty in Nigeria cannot be over emphasized. There is frustration on the faces of over 90m people who are living on less than USD1 per day. The current changes introduced in Nigeria as a result of fuel price increase will automatically reduce the purchasing power of Nigerians. It will increase their fears and aggravate their fragile health statuses. The causes of many deaths are unascertained and the life expectancy is almost below 50 years. Nigerians are living the lives they did not choose and which they have not completely resolved to do away with. Only a small fraction of Nigerians have genuinely crossed the poverty line through hardwork, perseverance and a stroke of luck sometimes. Several other rich Nigerians are simply crooks and thieves who stole from the treasuries. This latter category includes almost without exception the president of Nigeria, the vice president and other members of the executives serving and past. The category, in short, includes almost all politicians who have stolen or enriched themselves on the commonwealth of Nigeria. The extensions of this group include all those who have directly and indirectly benefitted from the corrupt governments that have destroyed Nigeria since 1960 to date. In today’s Nigeria the politicians continue to earn big while the ordinary masses continue to live desperately from one day to the other. Ordinary Nigerians are not getting what they deserved and they have not gathered enough courage to change the system radically or violently. Nigeria is a country with now over 160 million people therefore the dimension of mass poverty in Nigeria is both dreadful and shocking. The political system in Nigeria put the outcome of these people’s lives in the hands of one man through a unilateral system of government where everything is decided by a president. In almost all instances the presidents in Nigeria have been corrupt, senseless and outrightly foolish like the present one. For example rather than reforms that would eradicate corruption and establish viable political structures like regional governments and devolution of power, the government of Jonathan has done nothing about fighting corruption and is happy to oppress the people by keeping the power at the center and increasing the cost of living. No greater form of madness exists on earth. Nigeria needs to fight corruption and to develop a new form of government that will ensure that power is closer to the grassroots. In that way it will be easier to monitor regional growth and development without depending on a faraway insensitive, lazy and stupid aggregation of looters aka exco and legislators. In Nigeria there is almost no plan to provide basic infrastructure to the people. The annual budgets are made and looted. Politicians, their families and friends live extravagant life styles and spend a lot of time in their private jets. They just steal and it’s too easy because there are no prosecutions. The judiciary is utterly insane. Despite the fact that Nigeria is situated in the tropics with access to all forms of flowing water the government cannot provide drinking water to her people. Many homes with water are the results of self-provision and investment that gulp thousands of naira annually. 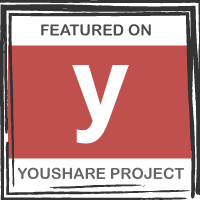 Bore holes are common. The cost of transportation has escalated since January 2012 and in many places the costs have increased by over 100% compared to what they were last year. The cost of feeding has increased astronomically. People cannot eat what they want, they eat what they find. Food, water and housing are 3 important parameters to measure the values of our lives and these things have become elusive to the masses in Nigerians. However, mass poverty in Nigeria has other ugly faces. For example, the purchasing power of the Naira is extremely weak. In some very bad situations, some people do not have money at all and there is no social security system. There has not been efficient or functional power supply even if you can conveniently pay for it. Nigeria is generating a power outage that is too shameful to repeat online. Many businesses run on own generators and the cost of doing businesses are extremely high adding more salt to injury in the unemployment terrain. The cost of petrol has increased from N65 per liter to N97 per liter. This makes Nigeria the most expensive place to buy petrol in any oil producing nation. The increase was necessary because of the corrupt manner the petroleum industry has been managed and to ensure that the corrupt Nigerian government officials can satisfy their evil lust for stolen wealth. Long term measures would have been to tackle the oil mafia and to ensure that we service the existing refineries and build new ones to cater for our needs and export. But Nigerian officials now headed by Jonathan prefer that we import what we have. No greater stupidity..! Rather than tackle the problems head on and plan a long term solution to the economic problems in Nigeria the myopic government of Jonathan decided to add to the burden of Nigerians. There are now more poor people in Nigerian than ever before. Nigeria has Uranium in at least 18 states of the federation, I have not heard the governor of the Central Bank, Sanusi Lamido and the Minister OF Finance, Okonji-Iweala mentioned what Goodluck Jonathan is doing about it. Nigeria is almost without electricity and the country is sitting on Uranium deposit. Talk of daft people in power all the time. Apart from Uranium there are uncountable numbers of natural resources/ mineral deposits in Nigeria. All the governments, past and present, have focused on the crude oil thereby limiting the economic growth of Nigeria. Even if the crude oil has been well managed, mass poverty will not exist in Nigeria. Agriculture has been relegated due to the greed and incompetence of all these corrupt people. The lack of power supply, as mentioned above, has aided the mass poverty as thousands of people have been put out of job since many companies can no longer sustain their operations in the absence of it. The situation is very demoralizing and still there are other equally important things that define the intensity and seriousness of mass poverty in Nigeria. The Nigerian masses and elites cannot travel on safe roads. The masses are more affected because there is constant chaos in the public transportation methods. The conditions are dehumanizing to say the least. Mass poverty in Nigeria is further displayed in the health schemes. There are no solid or clear cut health care policies to care for the population especially babies, pregnant women and old people who are more helpless than other groups of people. The cost of getting good treatment at the hospital is prohibitive and the access of modern health facilities is greatly hindered. I am not sure if there are handicap friendly facilities in public places in Nigeria. The poor and helpless masses are always at the receiving end of all the misgivings of the politicians and policy makers. Nigerian politicians continue to travel abroad, to receive treatment or to die. Nigerian hospitals are inadequate and ill-equipped. The overall consequences of poverty are diverse. Quickly, some of these things have spiral effects and these have obviously spun down to the upcoming generations. For example as a result of the range of extreme want of necessities and the absence of material comforts, the children of the masses no longer have access to quality education. They do not have adequate recreational facilities and their social orientations are falsely modified by various things around them and those that they are unduly exposed to. 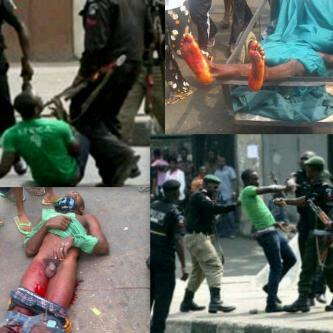 What is going on daily in Nigeria as a way of life shows very sorry states of things. Things are getting worse from day to day. Mass poverty can also result from high rate of unemployment. There has been an upsurge in armed robbery in recent years. It is not uncommon to find school drop outs and unemployed graduates among the criminals who have become very merciless in their operations. In addition to this, it was a rude shock for me to discover recently that many primary school and secondary students now have some form of allegiance to other persons in their localities or areas. I could not believe that secret cults are no longer secrets. True stories have been told how some young people have been killed by what seemed like cults activities in broad day lights. I was told that some were shots dead in unsuccessful robbery operations at other places. These stories are told nowadays like “it’s one of those things”. Things have really gone from bad to worse. Many years ago in Nigeria, the emphasis was on academic excellence and sporting activities at leisure. Indeed, things have changed and very worryingly too. Could all these be due to the spiral effect of poverty in action? What role does poverty play in other neglected aspects of our lives? I am still mad at people who have refused to see the bigger picture. If you have escaped poverty by some hardwork, luck or some form of looting or stealing that does not mean that we should forget the people who are still suffering from the corruption and bad government in Nigeria. Nigeria is too corrupt, probably the most corrupt country in the world. The politicians are looting and they call it receiving salaries and allowances. What an open scandal! And for Nigerians living abroad you have not escaped the poverty in Nigeria. Far from it! When you are in Nigeria, you still use generators to produce the power you need. That is a sign of poverty. You drive your fancy cars on very bad roads and have to change parts or do repairs often. That is a sign of poverty. You live in houses with heavy security. That is a reflection of poverty and a sign of extreme insecurity. My personal experiences and observations showed that Mass Poverty accelerated by absolute rot of governance over the years may have taken its toll on virtually all aspects of the Nigerian life. No government in Nigeria has seriously tackled corruption or fight poverty in real terms. There is no hope in sight as the present government is showing itself as the most useless ever in the history of Nigeria. Ordinary Nigerians (especially those who cannot treat their leg ache, head ache and stomach ache abroad) have gone through a lot of life excruciating and traumatic experiences especially since 1999. All the hopes raised at the onset of the new found democracy have been crushed and dashed. We don’t have the form of government that we require. Nigeria must split into different regions/ nations and corruption in all the regions must be fought totally. The Occupy Nigeria movement should be re-arranged to form a movement for the convocation of a sovereign National Conference or a movement for the initiation of a referendum to define the way forward for Nigeria. Nigerians cannot continue like this, it is too hopeless. Sometime must be done now to prepare for the future generations that will occupy and live in the present Niger-area. The Regions that existed in Nigeria before the intervention of the military in 1966 must be restored. It is the only hope for the eradication of both corruption and everlasting poverty. If necessary a revolution must be initiated and sustained to achieve these aims. The power of change lies with the people and not the Labour Unions. The Labour in Nigeria is a collection of miscreants in search of personal recognition and riches. The people must rise up once again and take what is theirs. Freedom and independence have never been offered on a platter of gold. They are earned with dedication and great sacrifices. 2012 offers a new opportunity for the change Nigerians seek. The shame of a Nation..! Anyone can check this fact at Hayalla Hotal in Yenagoa. This is either the handiwork of G. Jonathan or his servants in Bayelsa State. Tribalism is one of the evils in the Nigerian society. Money, as much as N10 000 has been given to Bayelsa Youth so that they can carry placards to support the removal of subsidy. What a shame! Generation of hungry Bayelsans! They have police protection to collect this money and to stupidly parade themselves in the streets. Goodluck just ran out of Nigerian..! Someone must get the message to Nigerians. This is the revolt / revolution we have always talked about. This is probably the only chance Nigerians will get to change things once and for all. This riots and revolutions sparked off by the subsidy MUST lead to the end of the reign of Jonathan and for all time the end of the PDP hold on governance. If this chance is allowed to slip away, Nigerians living in this generation/ period will NEVER be free again. itself, let the south-west govern itself, let the middle belt govern itself and let the south-south govern itself. There will never be a better opportunity to get things right. For Nigerians there will never be a better opportunity to round up all the corrupt politicians and looters who have destroyed this country. From the Atikus to the Obasanjos and the Babangidas, From the Jonathans to the governors and all others past and present looters, there will NEVER be a better opportunity for these crooks to be rounded up and sent to jail. All the Sanusis and Iwealas that have stolen the wealth of Nigeria should be arrested using the present power of the masses. This opportunity must not slip away. How much is N1 Trillion? This is money that the thieves in the National Assembly can take home in 1 year, on the surface. Under the surface much more money is looted monthly in Nigeria by these same crooks called politicians. Nigerians cannot afford to weary now and they cannot afford to let go of the momentum they have gathered so far. The foolish presidency is hoping that the people will be tired and go back to work. They must not. In due time they should chase Jonathan out of Aso rock or render his position useless by taking over governance. The people of Nigeria must be able to organize themselves and they must start to plan how to take over the country. They cannot leave this country back into the hands of thieves like Jonathan, Iweala and Sanusi. The people must appoint leaders among themselves. These leaders must represent the voice of the struggle and the goals must be clear. Take back Nigeria and give it back to the regions. When this is done Jonathan will have no choice but to resign and seek asylum in another country before he is arrested and tried for corruption and crimes against humanity. This is the best opportunity and it must be well utilized. Power to the people of Nigeria. Prominent Nigerian writers and public commentators like Pius Adesanmi and Akintokunbo Adejumo want Goodluck Jonathan tried for crimes against humanity. They are asking that all the people killed by the Nigerian security forces under the command of Jonathan should be well documented. 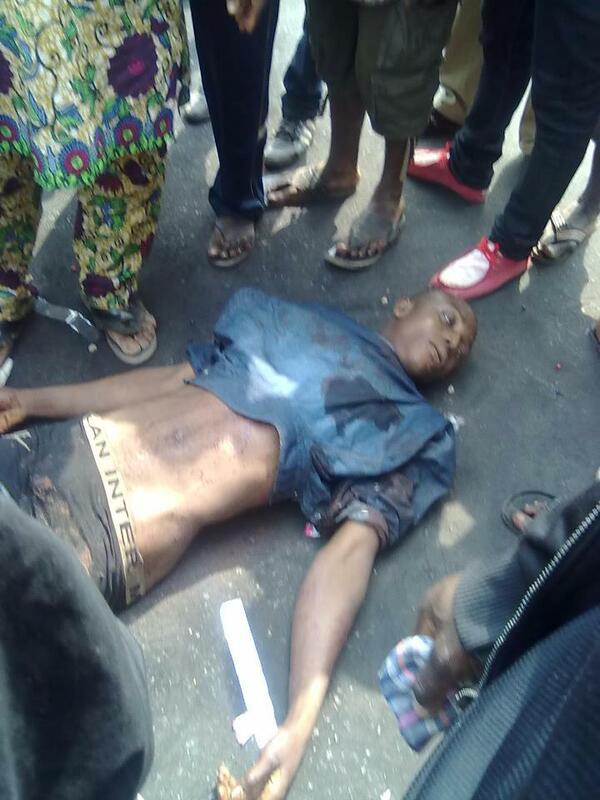 The young man killed in Ilorin has been identified and those who were killed in Lagos are also being identified. This period is one of the darkest in the history of Nigeria. Nigerians are under the reign of terror. The young boy who had no shoes when he was a pupil is now the evil president making sure that innocent citizens are sent to their early graves. Under this evil reign of Jonathan, terrorism in Nigeria became well established. Nigeria is on the brink and the revolution may have finally kicked off.